I have great sadness in my heart as I sit to write a final farewell to our Maggie. Maggie passed away late December of 2014 after a brief illness. We have certainly lost a part of our history and there will forever be a bit of a hollow spot left behind. Let me tell you a bit about our Maggie. She was born into the Navajo nation and lived in Arizona. She moved to California as a young woman and settled in Richmond, California. Maggie came to the ranch many years ago as she took a day trip with some friends in Richmond that knew of Erickson Ranch. That trip was all it took and she has been a fixture ever sense. Once Maggie met Rosie and Ray there developed an instant bond that has remained forever. Rosie and Maggie quickly became friends and shortly thereafter she became part of the Erickson Ranch work crew. I thought Rosie was the hardest working woman I knew until I met Maggie. Her work ethic was unmatched by most people as she never stopped. Not only was she a hard and dedicated worker she never found the negative in situations and was forever the optimist.  She absolutely loved all facets of gardening from the planting of the seeds to the nurturing of young plants to the harvest of their bounty. I believe the strong bond that developed between Maggie and the Ranch was closely tied to her love of the earth. It gave her a chance to enjoy many of her Navajo traditions that are so tied to the seasons and Mother Nature. The closely held Navajo tradition of collecting corn pollen was a yearly ritual for Maggie. I was unfamiliar with the collecting of corn pollen but Maggie was always generous in sharing her ancestors tradition. ―The Navaho have that wonderful image of what they call the pollen path. Pollen is the life source, the pollen path is the path to the center. The Navaho say,”Oh, beauty before me, beauty behind me, beauty to the right of me, beauty to the left of me, beauty above me, beauty below me, I’m on the pollen path”. Maggie was forever with a smile on her face and a kind word for our customers. 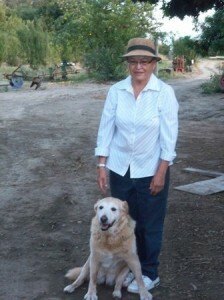 She was such an addition to the ranch with her generous spirit and quiet demeanor. She was always happy and her infectious smile greeted customers while she called them over to taste jams on the weekends, took them on a walk in the garden or while she was playing with her favorite pup, Murphy. Our hearts go out to all of you. We, All of the artists, will all miss Maggie but we will still come to paint the beautiful things she helped create at the ranch. Thank You Sandy and all the artists that come to visit and paint.